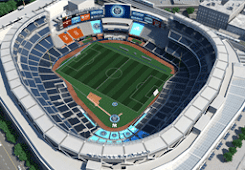 NYC is Blue: New MLS logo Revealed! 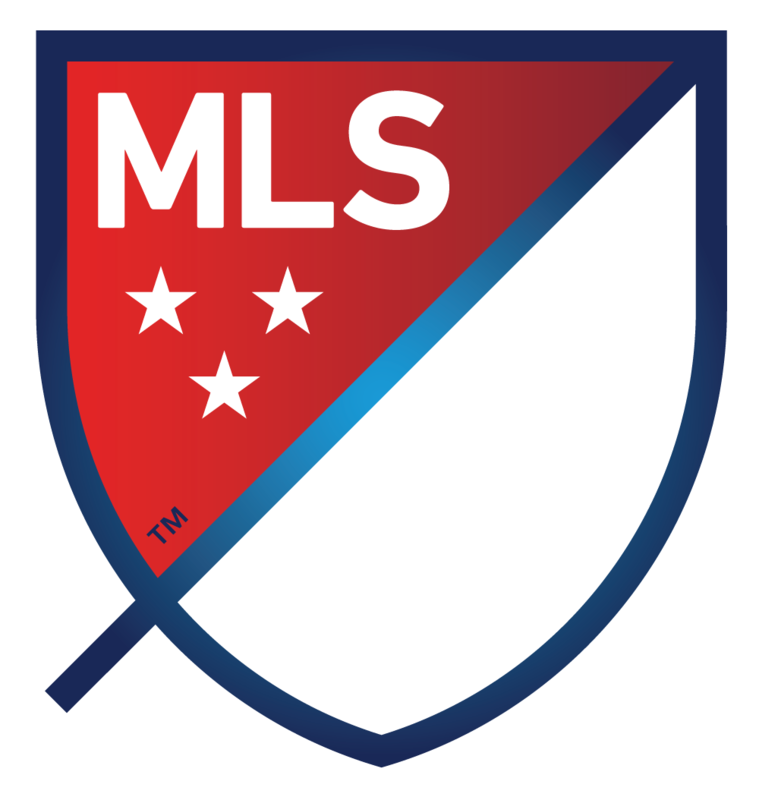 It's a surprisingly minimalist design, replacing the "boot and ball" that the league has used in one variation or another since it was founded in 1994. A simple shield divided in half, sometimes with a gradient, three stars and the letters "MLS". 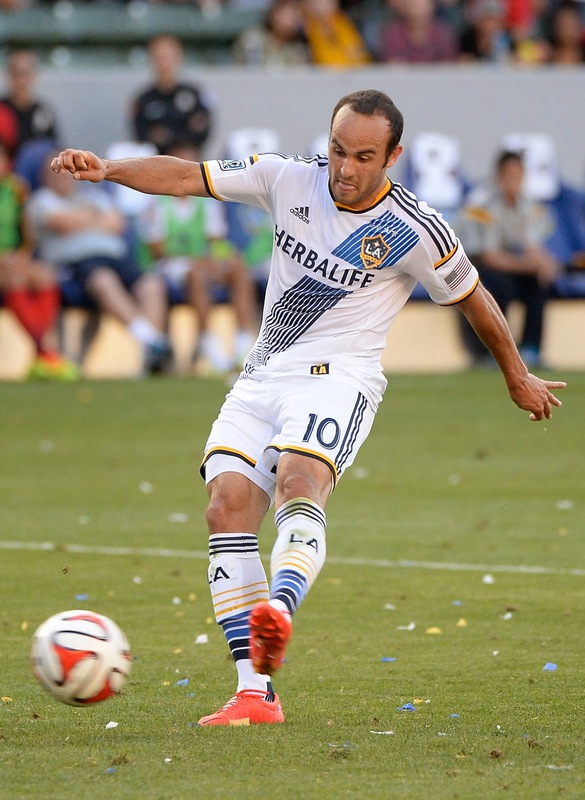 SLASH: The slash refers to soccer's speed and energy. The slash begins outside the perimeter and drives upward at a 45-degree angle to illustrate both the nonstop nature of our game and the rising trajectory of our league. 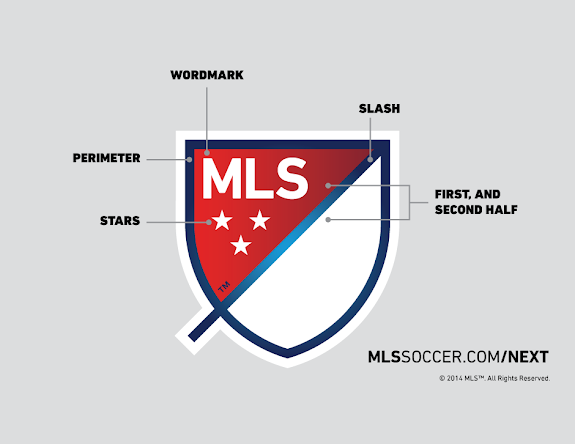 It bisects the crest to create a "first half" and "second half." 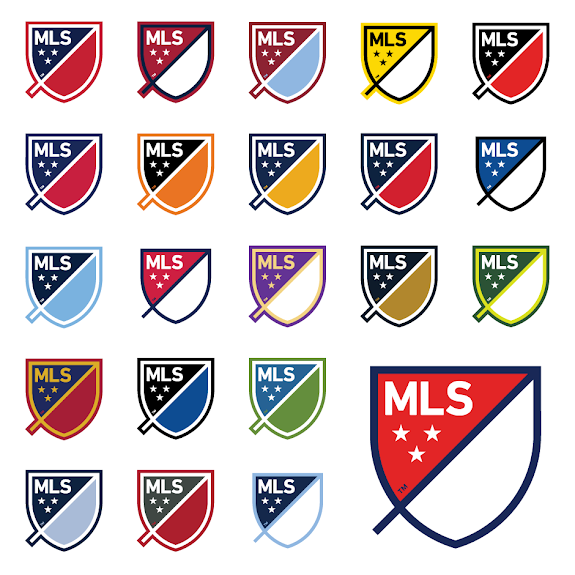 One of the most interesting things about this new branding is that the shield will be re-colored for each team's use, the way baseball teams recolor Major League Baseball's logo for the back of their jerseys and caps. I can overlook the rather pedestrian red-white-and-blue color scheme, considering that each team will be using their own coordinated version. On the whole, I like this. 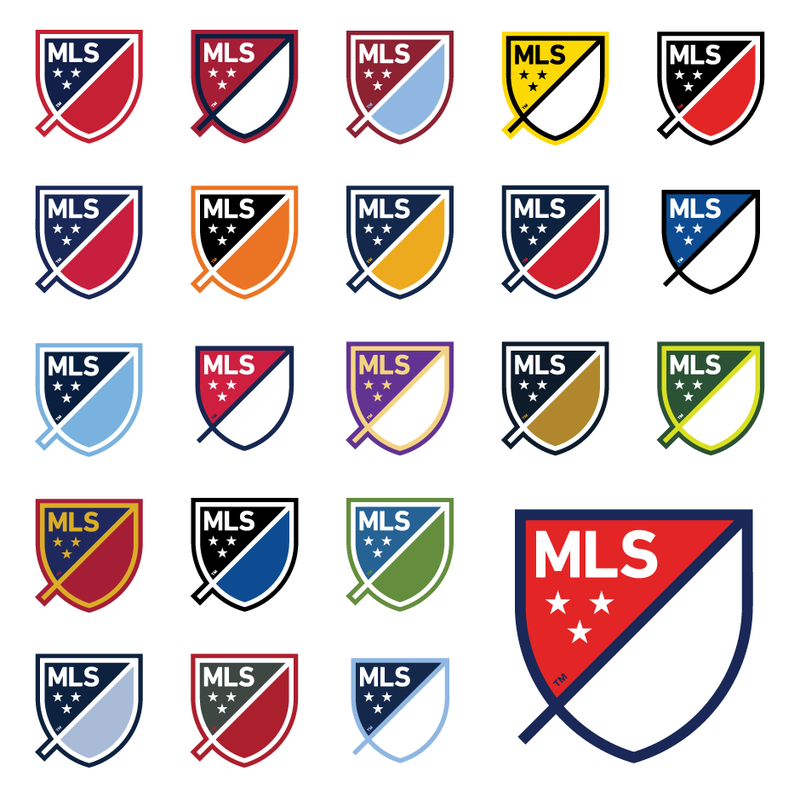 With very few exceptions, there's a clear delineation between each team's version, although I do wish they had swapped the red and white "halves" in the Red Bulls logo so as to separate it from the league's own. If that mockup is correct, the patch will incorporate a diagonal texture into the color blocks, a huge improvement over the flat print versions. Also note that the right sleeve is currently occupied by the national flag of the team's home. Again, if the mockup can be trusted the current patch placement will change. And getting rid of the flags would be a major improvement. So now we know what the NYCFC kits will feature on their sleeve(s). Can't wait to see what the rest of them look like.